Cleavers Lyng 16th Century Country House Herstmonceux, Hotel England. Limited Time Offer! Cleavers Lyng. 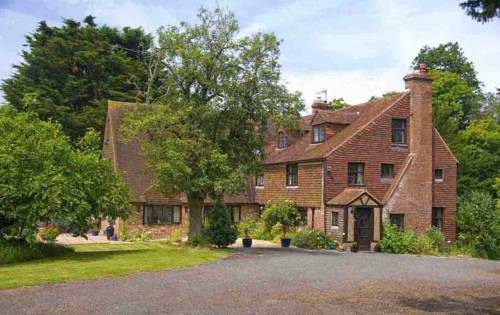 4-star inn "Cleavers Lyng" is an excellent pied-a-terre from which to explore Herstmonceux. All the rooms have been described as being bright. For a little stroll, the private garden is ideal. In the morning, you have the opportunity to have an English breakfast. Of course, visitors can go online at no extra charge. Discover all that Bexhill has to offer with The Cooden Beach Hotel as a base.All of the hotel's 41 guestrooms are equipped with standard in-room amenities to ensure the maximum comfort for its guests. The The Sussex Hotel is perfectly located for both business and leisure guests to Bexhill.The The Sussex Hotel boasts a convenient location with modern amenities in every guestroom and superb service.